Suzi Godson » Join BBC Radio 4’s John Humphrys for a Sunday Times/Marriage Foundation debate on whether there is a difference between marriage and cohabitation. Join BBC Radio 4’s John Humphrys for a Sunday Times/Marriage Foundation debate on whether there is a difference between marriage and cohabitation. The Marriage Foundation and the Sunday Times are jointly hosting a debate in January entitled, “Is there a difference between marriage and cohabitation: should all cohabiting couples be treated the same?”. 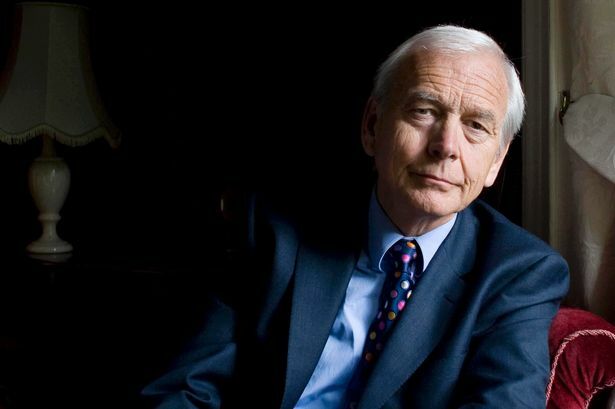 The debate will be chaired by John Humphrys from BBC Radio 4’s Today programme, and speakers will include founder and chairman of Marriage Foundation, Sir Paul Coleridge, Dr Samantha Callan of the Centre for Social Justice and Susan Jacklin QC, Chairman of the Family Law Bar Association. It will be held at 7pm on 8th January at Sunday Times HQ, 1 London Bridge Street. Marriage Foundation supporters who are also Times+ subscribers can register via the Times+ website. Marriage Foundation also have a limited number of free tickets to give to their supporters, so if you would like to attend then please get in touch as soon as possible. First come first served!